We’re now just a few hours away from the debut screening of Episode V of STAR TREK CONTINUES, with fans assembled for the Salt Lake City Comicon. Several of our cast and crew have made the trip to Utah, and we can’t wait to hear the reaction to our first “off the ship” episode. Your chance to see Episode V comes tomorrow morning, September 26, starting at 8:00am Pacific time. Just navigate to StarTrekContinues.com to see for yourself what our team has spent months putting together. I don’t want to spoil any of the surprises, and we’d love to hear your feedback on Facebook! Several of the people who make STAR TREK CONTINUES possible converged on Las Vegas for Creation’s annual STAR TREK VEGAS event. It was truly monumental and a great prelude to next year’s 50th anniversary celebrations for The Original Series. More than 200 people packed the theater our late-night screening of Episode IV, “The White Iris,” and we took questions for more than an hour after running the episode on the big screen at the AMC Town Square theatre. 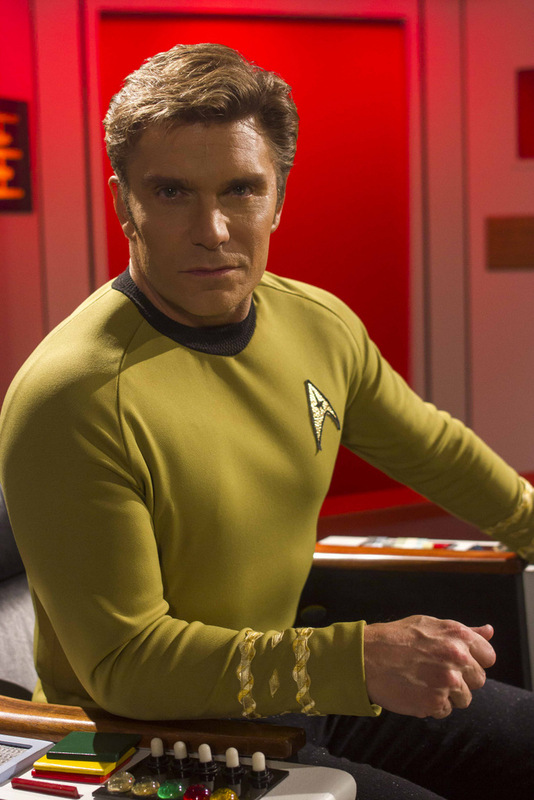 We were also humbled and honored that both Rod Roddenberry and Marina Sirtis from STAR TREK: The Next Generation publicly praised STAR TREK CONTINUES during their sessions in Vegas. As you’ll read below, the final work is now underway on Scotty’s Engineering Room at our own Stage Nine in southern Georgia, as we prepare to shoot more episodes this fall. We want to make sure we celebrate 50 years of STAR TREK with our best salute to the spirit of Gene Roddenberry and the team that brought The Original Series to life. Our fifth episode, which premieres this weekend, is dedicated in loving memory to Grace Lee Whitney. Her star shines brightly. Please let time fly - I want to see this. It just blows my mind that fans are making their own episodes, which are in many ways even better than the original. I loved the sequel to "Mirror, Mirror" and even worked in a mention of it in my book-in-progress. I look forward to number 5! I am so looking forward to seeing your latest episode. You are the best at capturing the look, the style and most importantly the heart of Star Trek! Bring it on! Episode V was wonderfully well written and well acted. Great to see Dr. M'Benga and a passing glimpse of Kirk's speech writing idol, Pres. Lincoln. Keep up the awesome work. Eager awaiting the blooper reel for Ep 5. This place have unique light displays that change color and can be set to create the perfect mood for your celebration. These distinctive features are sure to wow your guests. And event venues gets better every instant.